In a separate bowl, roughly mash the avocados. Add the lime zest, lime juice and mix. Season to taste. Gently fry the eggs on one side, ensuring the yolk is still runny. To serve, place 2 eggs on each plate. 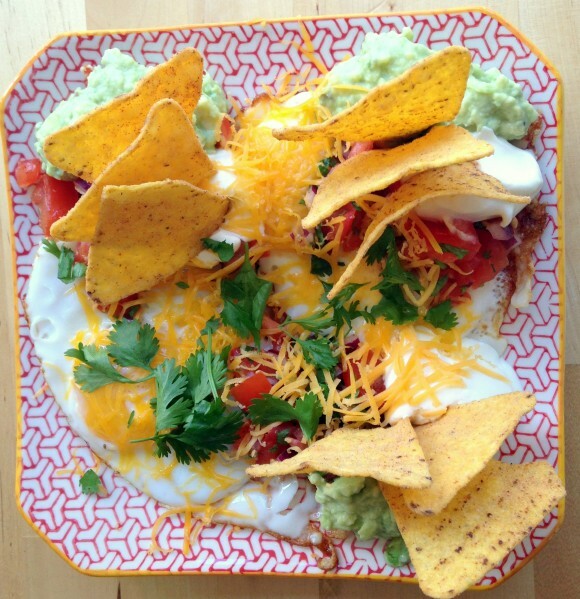 Place blobs of salsa, guacamole and sour cream around the eggs. Top with tortilla chips, grated cheese and fresh coriander.